Graphic Fantasy #1 from 1982. Mr. Savage Dragon himself! When I think first Savage Dragon, Megaton 2 and 3 come to mind. But that is not correct. I wish I knew about this one a long time ago. I wouldn’t have bought so many Megaton #2’s and #3’s. Graphic Fantasy #1 is his first true appearance. Pretty cool, right? I thought so. #2 cover is nice as well. I have included an explanation of how this comic came about according to the back of a Savage Dragon card. Cyberfrog #1 from 1994 Hall of Heroes. I don’t know that it sells for a lot. I have just never been able to locate one online and it’s a pretty cool and unique item, imo. “Cyberfrog was created when Ethan Van Sciver was threatened by his girlfriend to do something important with his drawings or she would leave him. The title was first printed by Hall of Heroes, who printed mostly Christian comic books. Van Sciver left his job selling beer coupons door-to-door for Shaney's Pizza when fellow comic book artist Trent Kaniuga told Van Sciver that Hall of Heroes would pay him $500 USD for each issue of Cyberfrog, though this goes against an earlier statement made by Van Sciver that he was not paid by Hall of Heroes for his work. Hall of Heroes printed two black-and-white issues of Cyberfrog. The title gained notoriety when Van Sciver was featured in Wizard Magazine as an up-and-coming star of the comic book industry. Muppet Babies #10 from 1986 – Why are these impossible to find? Someone please tell me why! I have to know!! But in all seriousness, my guess would be a low printed issue. I can't imagine a bunch of 30+ year old guys with a secret stash of their all-things Muppet Babies collection, to go with their Barbies, but hey, I would never have imagined all the stuff that's happening in the world today when I was a kid in the 80's. Or the 90's for that matter! Anyways, I found one in VG for a couple bucks. But that has been it. Diamond Previews. Yes, that big, bulky Diamond pre-ordering book published monthly. I am speaking of 2 in particular, #247 from April 2009 that contains a Chew #1 preview, and the August 2003 issue that contains an introduction to The Walking Dead. I have been lucky to find 1 of each. I sold my Chew for $75 earlier this year and have had offers of over $100 for the Walking Dead. I honestly felt I let the Chew go too low. These are the only 2 I have ever seen for under $20. 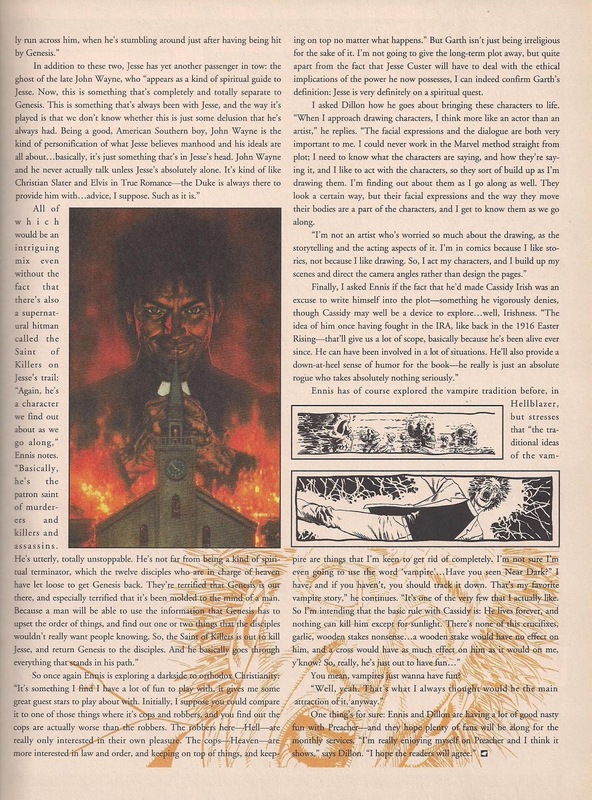 Some runner-ups in the Diamond Previews are May 2002 Edition containing Y: The Last Man and the December 1994 edition containing a Preacher series introduction. One more goodie I will leave you with. This one’s a sleeper you may be able to get lucky and find cheap. DC Comics Collector’s 20-Pack from 1993 containing, yes, our favorite 1993 Comic Book: Batman Adventures 12. These were the only pictures I was able find, to serve as a reference. Nice article. I have been researching Diamond Previews for years. The Walking Dead issue is significant due to the trademark logo. There are forums dedicated to this and the legality of WD ownership. I really don’t know that much about it but it is at least the first printed image of Rick. The ones I want the most have Goon strips that are quite rare. Didnt know about Savage! Thanks for the info! Great info. Will add these to my list of thing to keep an eye out for. Love that DC Collectors Pack! And I bought the full run of Muppet Babies when it came out. Always been a fan of humor/kids comics. Imagine the looks when i bought them new as a 15-16 year old boy! OMg……… I saw a stack of those DC packs for sale on Craigslist last year. They were face up in the photo. Nice Tim. So if I luck out and find one of these 20-issue combo packs, do I open it and send the BA 12 to CGC or do I sell the pack itself as an ultra limited item? Good question. If it’s minty, I would lean towards opening and grading. Afterall, 9.8’s are pulling, what, over $2G’s now? There’s a warehouse full of these somewhere. I just have to figure out how to pull them out of my dreams! I imagine a few of those books are pretty rare. Nice books to bring to light. Thanks!